▷ Garmin nüvi 750TFM update. Speedcam for your maps. Download update. Free custom download. All updates for fixed and mobile speed cameras, every day, for all GPS devices. In order to update your GPS device: Garmin nüvi 750TFM with the latest update, follow next instructions. First of all, be sure you got the update file for your Garmin nüvi 750TFM device, downloaded from SpeedcamUpdates.com. If still haven't got it, you can get it now filling the form you see on this page. 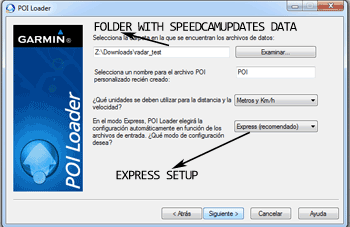 Extract files from the SpeedcamUpdates zip package. If the file you have downloaded is not a ZIP file means the file is already decompressed, and you can continue with the next step of this installation instructions. 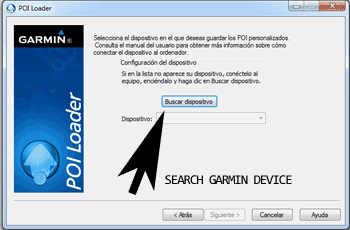 In orden to transfer the speedcam database information to your Garmin nüvi 750TFM device you have to use POI loader application. Click next link to download it. Connect your Garmin nüvi 750TFM device using an USB cable to your PC. Now run POI Loader. Select the folder where you extracted the files before. Continue with Express Mode and finish your installation. 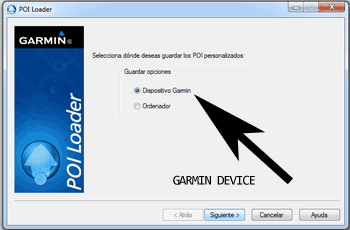 The information will be transferred to your Garmin nüvi 750TFM device. 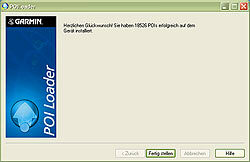 So, as explained before, select the target folder on your hard disk which contains the unzipped files of our database. Now you can choose between Express mode and Manual mode. Select Express Mode. In this mode all settings are given by POI Loader. Push Next button and all speed cameras will be installed. Remember you can customize freely your download. Get access to the customer control panel and using the customization tool in order to get a customized speedcam database according to your needs. You will need this tool if your device doesn't accept the size of the new update. You can add and remove countries speedcam data to your current setup. The only service for my car GPS device.